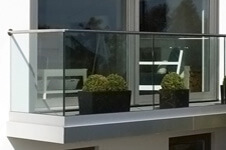 Our popular and user-friendly glass channel balustrade systems. The number one glass balustrade when it comes to glass alignment! The BS 6180 certified base shoe of this glass railing system uses the revolutionary adjustable Q-disc System, which allows you to adjust and secure glass infills easier than ever before. Uses the Q-Disc System for glass thickness of 16,76mm up to 21.52mm. 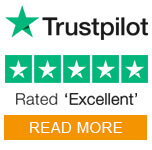 You can choose between top mount or a fascia mount glass balustrade installation. 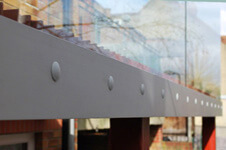 Designed so all installation can be carried out from the inner side of the balustrade. All profiles are manufactured in Aluminium to a brushed stainless steel effect finish and are suitable for indoor and outdoor installation. Introducing the Frameless Pro Glass Balustrade system. A unique design that allows for fine-tuning of each glass panel from the inner side of the balustrade. Designed to accept mono and laminated glass thickness of 12mm - 21.52mm. The maximum loading of this balustrade system is 0.74kN. Full range of straight and corner profiles with integrated water drainage, all perfectly aligned using a clever connector pin design. Glass panels are adjustable in every direction by up to 10mm using the Frameless Pro adjustable rubber insert and wedge kit. There is no need for countersunk anchors, plus with fewer anchors required this system is very cost effective. Frameless Pro has fixings for concrete, masonry and timber* mounting available. 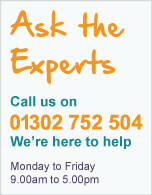 *We always recommend taking advice from an engineer or specialist if mounting onto timber. Top Mount glass channel balustrade is the perfect choice for minimalist interiors and exteriors, offering straight and corner profiles to suit any project. Straight forward to install with the use of our safety wedge kit. Fascia Mount glass channel balustrade is suitable for indoor and outdoor applications and are ideal for areas where you wish to make the full use of space. The perfect choice for balconies and stairwells. We offer a full range of straight and corner profiles to give you complete control and choice of your design. Video demonstration of the glass channel pendulum test with a 50kg side impact. The force of the impact was greater than 1.5 kN and the installation remained completely intact.